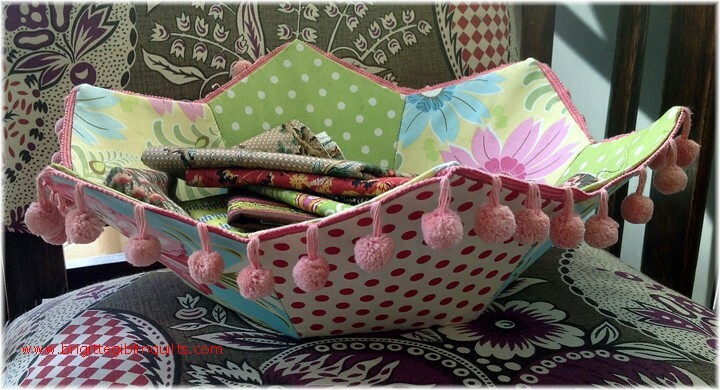 A few of you have asked me about the "Pom-Pom Work Basket" in my book. It's featured on pages 2, 5 and 232. I have happily spent most of the day creating the pattern for you to download... the PDF is in the "tips and instructions" section on the header bar for you to print. Please send me pictures of your finished baskets for all to see!! ...enjoy B. Thank you! The basket is gorgeous! And I have some pom-poms all ready to go! Wow, I love this basket. Thank you. I agree with everyone. I have been wondering how it was made. Thank you soooooo much. Интересная идея! Очень симпатично тесьма украсила. Мне понравилось.